OLATHE, Kan. — You could hear a pin drop at Olathe District Activity Center Friday night. Unless, of course, you were on the visitor’s side with the Olathe East fans and you probably couldn’t hear a thing. Olathe East came into ODAC Friday night and ran all over the defending state champions, dominating from the start on their way to a convincing 25-0 win over Olathe North in a game that wasn’t nearly as close as the score. Not only did the Hawks win Friday night, they sent out a message to the rest of the state in handing the Eagles their second shutout loss in school history. That bears repeating. The Hawks sent out a message to the rest of the state in handing the Eagles their second shutout loss in school history. 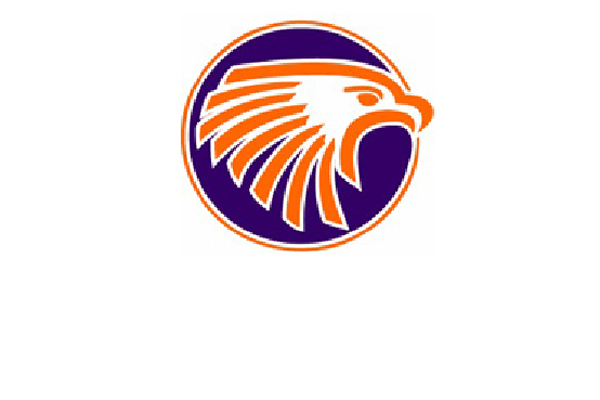 Only once before since the old Olathe High School split in 1981 have the Eagles been shut out. It was a battle, alright. The only problem is the Eagles didn’t hold up their end of the bargain. “I had no idea that we would (dominate) like that,” said East head coach Jeff Meyers. “We have great respect for Olathe North and you better have that kind of respect for them, because they are a great program. It’s safe to say the Hawks played at the top of their game. “Yeah, the Hawks are here,” Willingham said with a huge smile on his face. Meyers couldn’t have drawn things up any better. The Hawks dominated both lines of scrimmage and even won the battle on special teams. “We didn’t play well and we know it,” said North head coach Pete Flood. “They outplayed us on both sides of the ball and on special teams. Willingham, who had been nursing a sore ankle for two weeks, showed no ill effects of the nagging injury rushing for 188 of the Hawks 298 yards on the ground. The Hawks rolled up 353 yards of total offense on the defending state champs, ending their 15-game winning streak. Treshawn Root added 73 yards on just seven carries for East. After taking a 13-0 lead into the half, the Hawks added a pair of fourth-quarter Willingham touchdowns. The backbreaker came courtesy of a 18-play, 80-yard drive that started with 7:44 left in the third quarter and ended with a 2-yard touchdown run with 10:40 to play. The nine-minute drive just tore the hearts out of the Eagles and took whatever life was left out of the North fans. “We came out tonight with a lot of confidence,” said East linebacker Vince Gerstner. “Not one of had it in our minds that we were going to lose this game. The final score came on a Willingham 40-yard run with 5:20 to play. East got on the board first with an 8-yard touchdown run by Austin Fulson. The touchdown run came on the heels of the Hawks opening drive. A 31-yard run by Willingham — along with a late hit by the Eagles — set East up with a first and goal from the 8. East added their second touchdown of the night on a 1-yard run by Willingham. Trent Kuhl connected with Willingham on a 34-yard pass down the right sideline, setting the Hawks up at the Eagles 11, but it was a nice second-effort carry on fourth-and-1 at the 6 that kept the drive alive. North had Willingham in the backfield, but he broke free and dove forward to the 4 and set the Hawks up with a first-and-goal at the 4. The Hawks didn’t pass much in the first half, but when they did, they were lethal. Kuhl was 4-of-5 for 55 yards and hit on his first four passes. That proved to be the real difference in the first half, as both teams were nearly dead even on the ground. North had 95 yards on the ground and East had 98, but North had no passing yards, to East’s 55. North put together a couple of nice drives, but couldn’t get any closer than the Hawks’ 26-yard line. They turned back over on downs twice on the Hawks end of the field in the first half. North managed just 149 yards of offense against the charged-up Hawks. Quarterback Victor Simmons had 99 yards on 16 carries and the Sunflower League’s leading rusher, Adonis Saunders had just 45 yards on 14 carries.